If you've ever seen this error at the top of your account you’ll know that you’ve reached the quota of your account’s subscription plan. 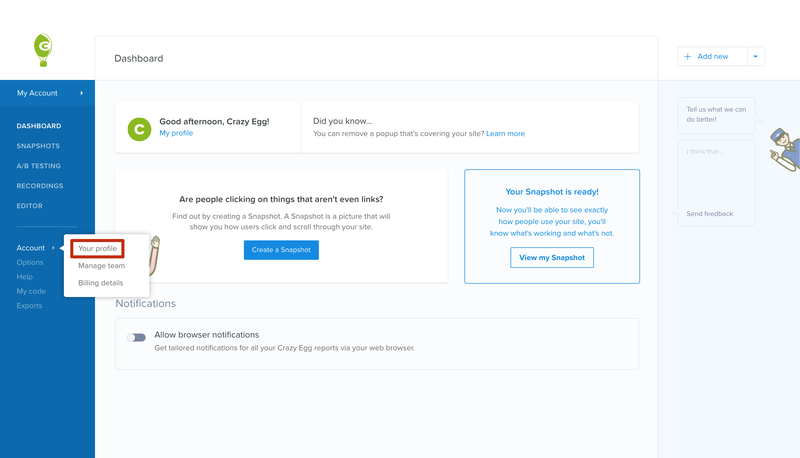 When this happens you have two options; wait until the next month to start so your Pageview limit resets, or you can upgrade to a higher subscription option. 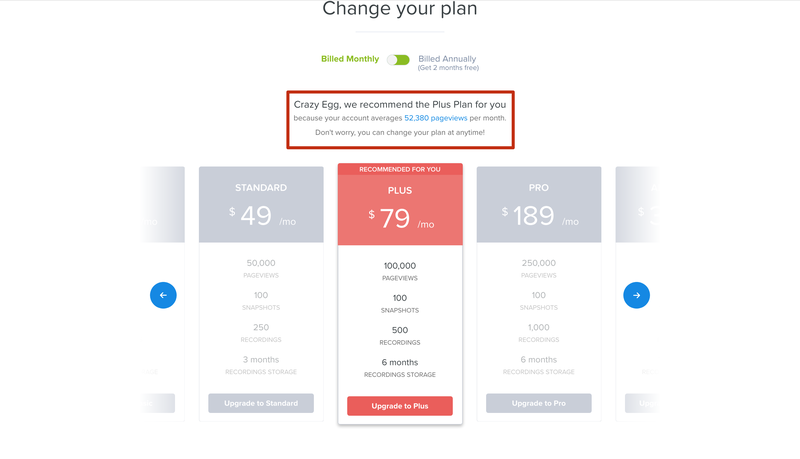 Crazy Egg offers two types of subscriptions: monthly or annually billed plans. 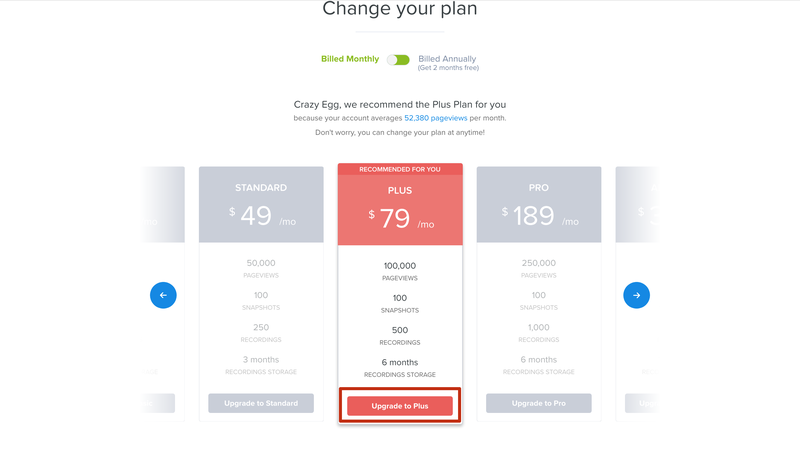 Crazy Egg will try to recommend a plan based on the average amount of traffic to your which will be displayed front and center when changing your plan. 1. To Upgrade your account, from your account's Dashboard, start by hovering over Account and then clicking on Profile. 2. Next, click on Change Plan. 3. Then pick a specific plan by clicking Upgrade to Plus. 4a. If you haven't already entered your credit card details, a modal will appear to allow you to enter these details before continuing. 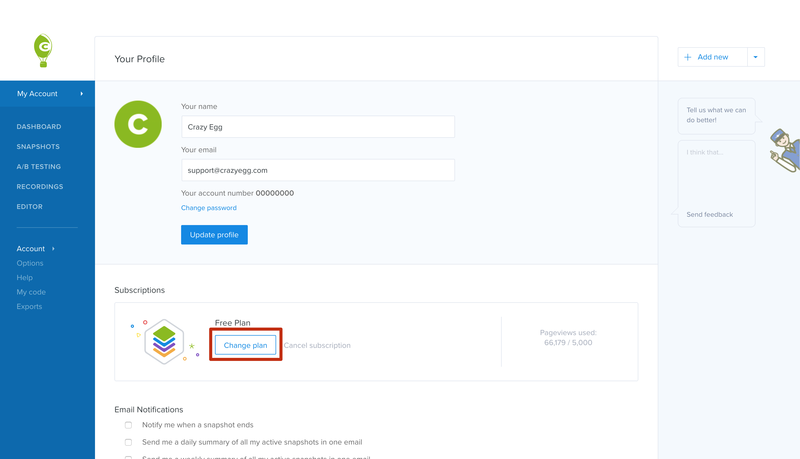 Clicking Confirm Payment Info will lead you to the next step. 4b. Once your payment information is updated you will be shown a confirming page listing your total for today, any credit applied to your upgrade, and your renewal date. 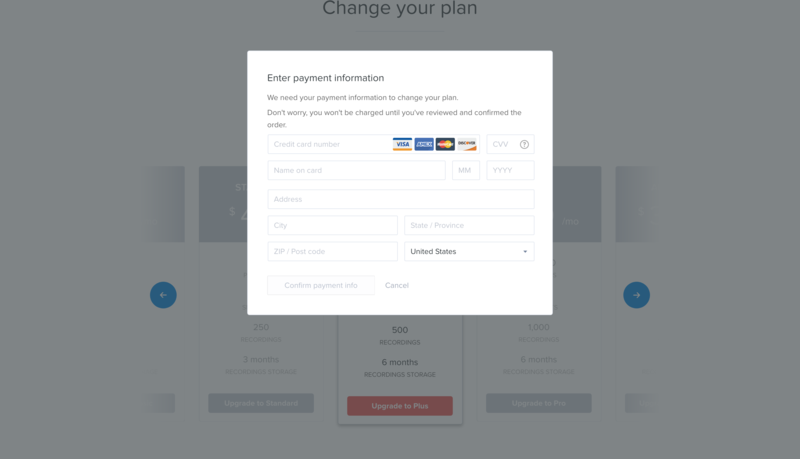 Clicking on Confirm Plan Change will upgrade your subscription to the one chosen. 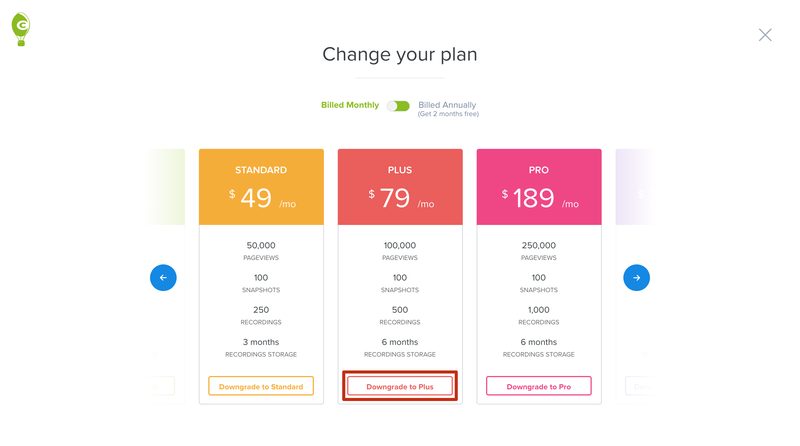 Upgraded plans are pro-rated, so you can enjoy your new features right away! 1. Repeat the same first two steps of the Upgrade guide. 2. 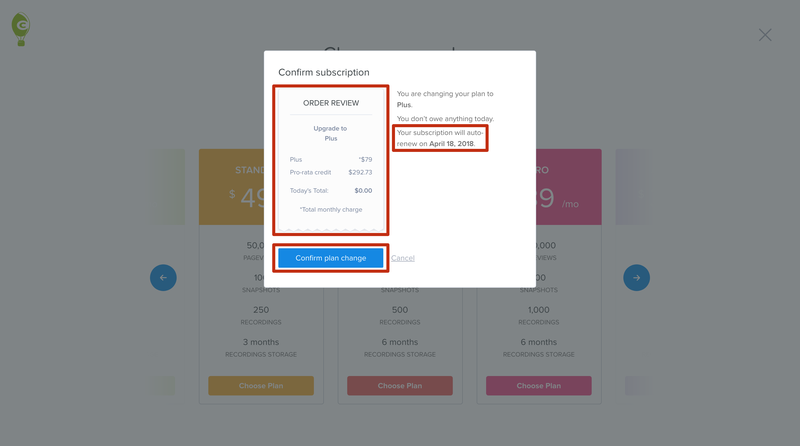 Then click on any lower subscription plan, or in the example below Downgrade to Plus. 3. The same confirmation window will appear to confirm any costs or renewal date changes. 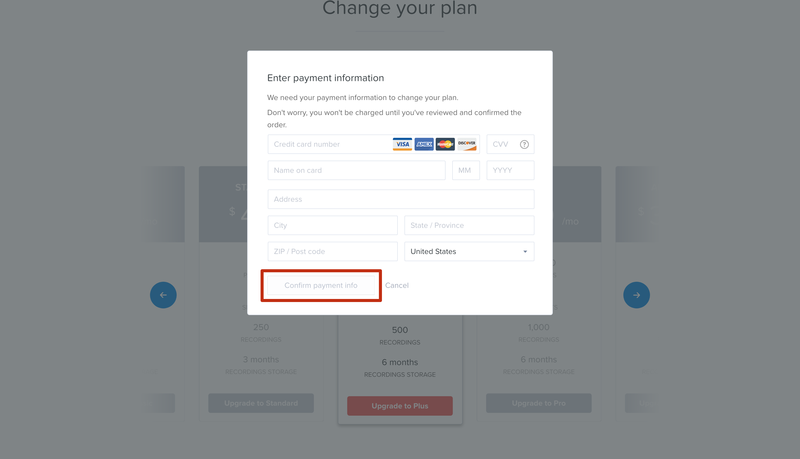 Clicking Confirm Plan Change will downgrade your account. Note: If you plan on upgrading on an annual subscription you will not be able to downgrade until the end of the year's subscription.